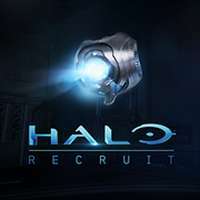 Take the first, small step into a virtual Halo world with Halo Recruit. This free training experience will introduce you to the characters, weapons, and universe of Halo through the power of Windows Mixed Reality. As a freshly minted UNSC recruit, you will learn to identify and fight terrifying alien combatants in this compelling exploration of what Halo's virtual future might hold. Features: Sample the Halo universe in a stunning virtual environment for the first time; Interact with iconic Halo characters such a Cortana and Guilty Spark; Aim for high scores on the target range with the powerful Halo Magnum and SMG.